Scandinavian Daybed (SHOWN ABOVE, SOLD*) with teak frame. Seating folds up with compartment for bed linen. New upholstery, in excellent condition. 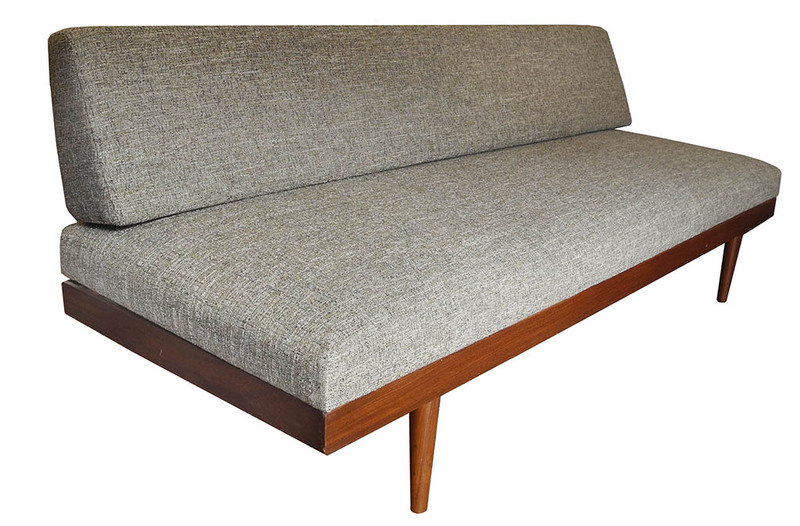 *THIS ONE SOLD BUT We also have a matching day bed with pull out side tables—posting soon. L6' x D27 1/2 x H29". Norway, 1950s. $1600.